Everyone wants to look better, and an upgraded smile can have a real impact on your appearance and self-confidence. The Center for Dental Anesthesia provides the best cosmetic dentistry in DC for the whole family, including patients with special needs. A porcelain crown is a tooth-shaped “cap” that is placed over a tooth covering the tooth to restore its shape, size, strength, and to improve its appearance. When the crowns are cemented into place it fully encases the entire visible portion of a tooth that lies at and above the gum line. A missing or damaged tooth can be completely replaced with an artificial implant made of an aluminum alloy that is anchored in the jawbone. This dental implant fuses permanently with your jaw. A replacement tooth is then created to match the look and feel of your other teeth and attached to the implant. 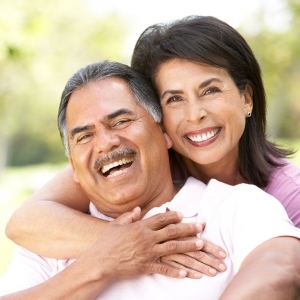 These dental implants last for decades, requiring only normal oral maintenance. A modern approach to straightening teeth using a custom-made series of aligners created for you and only you. These aligner trays are made of smooth, comfortable and virtually invisible plastic that you wear over your teeth. Wearing the aligners will gradually and gently shift your teeth into place, based on the exact movements your dentist or orthodontist plans out for you. There are no metal brackets to attach and no wires to tighten. You just pop in a new set of aligners approximately every two weeks, until your treatment is complete. You’ll achieve a great smile with little interference in your daily life. The best part about the whole process is that most people won’t even know you’re straightening your teeth. From simple teeth whitening and porcelain veneers to complex orthodontic procedures, we can transform your smile – often with breathtaking results. We offer many options, from simple bleaching to complex orthodontic and crown and bridge implants. Best of all, with the use of general anesthesia or sedation, tedious and potentially unpleasant treatments can be completed in one or two painless visits. We can also help you to find financing options that will make the cosmetic treatment you want affordable if you are in Alexandria or Arlington. Why not schedule your consultation today? Find out why we have provide great cosmetic dentistry in the Northern Virginia area to patients for over 30 years!